How to deliver flowers to riga or another city of Latvia in an original way? ❶ How to deliver flowers to riga or another city of Latvia in an original way? Do you want to know how to deliver flowers to riga and any city in Latvia easily and quickly? Pay attention to the services of the best floristic studio of the capital KROKUS . In our online shop you can order to deliver flowers to house, office, cafe, restaurant and any part of the capital. Our courier will bring the bouquet exactly on time in a perfect condition, present it to the recipient along with your best wishes. You can order to deliver fresh flowers both on the website and by phone +371 200 303 06. How to deliver flowers to riga? The online shop KROKUS welcomes the visitors of its official website and offers a wide range of the freshest flowers of Riga and Latvia at the best prices. Here you can find a perfect arrangement or a bouquet for any holiday, complement it with an original gift, greeting card or delicious treat. And for those who are interested in the question "How to deliver flowers to Riga?" our company offers the best service of sending bouquets not only to any district of the capital, but all over Latvia! What differs us from our competitors? The answer is simple - the maximum satisfaction of the requirements and wishes of customers. During the years of work in the floristic market, we have received a tremendous experience in customer service. Today in KROKUS everyone will be able to find an arrangement that optimally matches the theme of the celebration, the planned budget, aesthetic preferences, etc. In addition, the pride of our company is its own courier service, which provides a wide range of opportunities for delivery of bouquets. Often there are unpleasant situations when the customer did not have time to purchase a gift on time. For example, you accidentally forgot about a friend's birthday or suddenly received an invitation to a wedding. What to do in this case? Of course, contact the online shop KROKUS. In our catalog you will find more than 200 types of flowers and arrangements from them, we can deliver them to the address in Riga in 2-3 hours! Thus, you can appear on the solemn event with a beautiful, bright and delightful gift in the form of an elegant bouquet. Do you want to make a pleasant surprise to a dearest one, loved person or new acquaintance? Order the delivery of the original bouquet to the address at night. Imagine how great the surprise will be when she receives fresh flowers at night. Such an unexpected gift will turn a girl's head. Do you want to create an intrigue in your relationships? Do you want to remain a secret admirer for your chosen one? 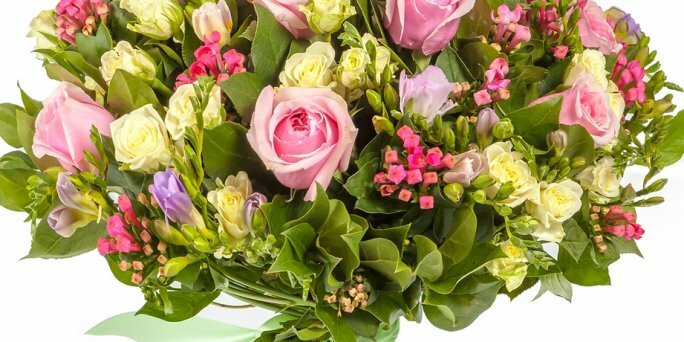 Then safely order anonymous delivery of a flower arrangement in the online shop KROKUS The courier will give flowers to the gifted, without telling who sent her such a wonderful bouquet. These, as well as many other services, you can order buying flowers in our floristic studio. You can do it using the convenient functions of the website of the company KROKUS or simply by calling the shop manager at the specified number and specifying all the details of the order in the phone mode.